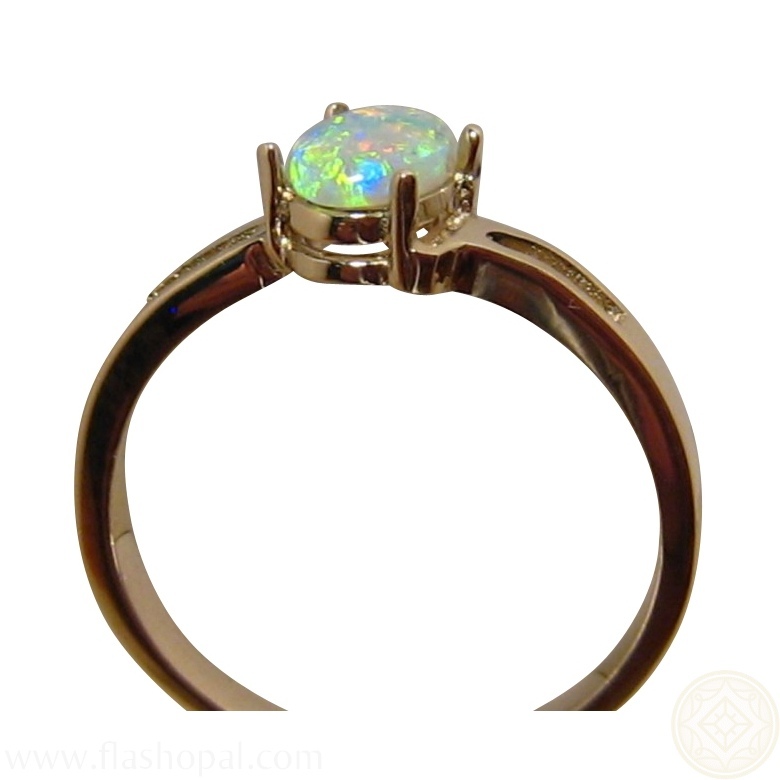 Simple Stylish Small Solitaire Gem Crystal Opal Ring in 14k Gold. 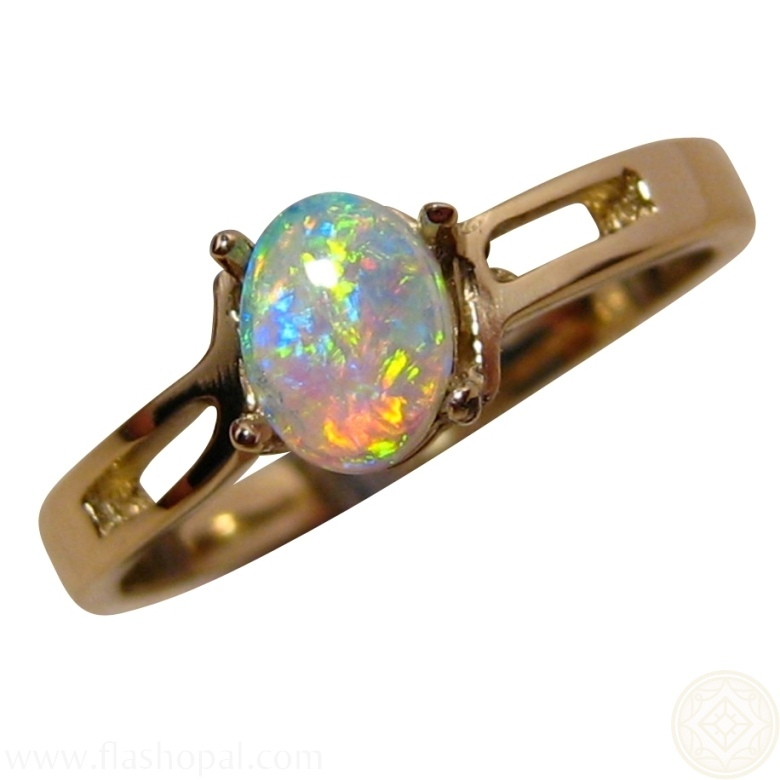 Beautiful Opal Gold Ring. 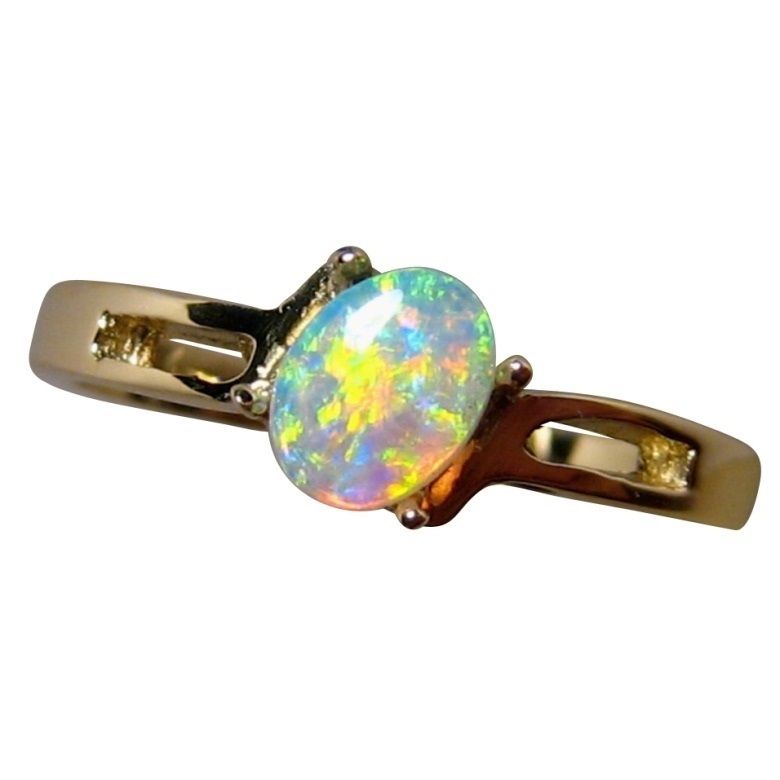 Solitaire Gem Crystal Opal from Coober Pedy with Extremely Bright colors prong set in 14k Gold Ring. 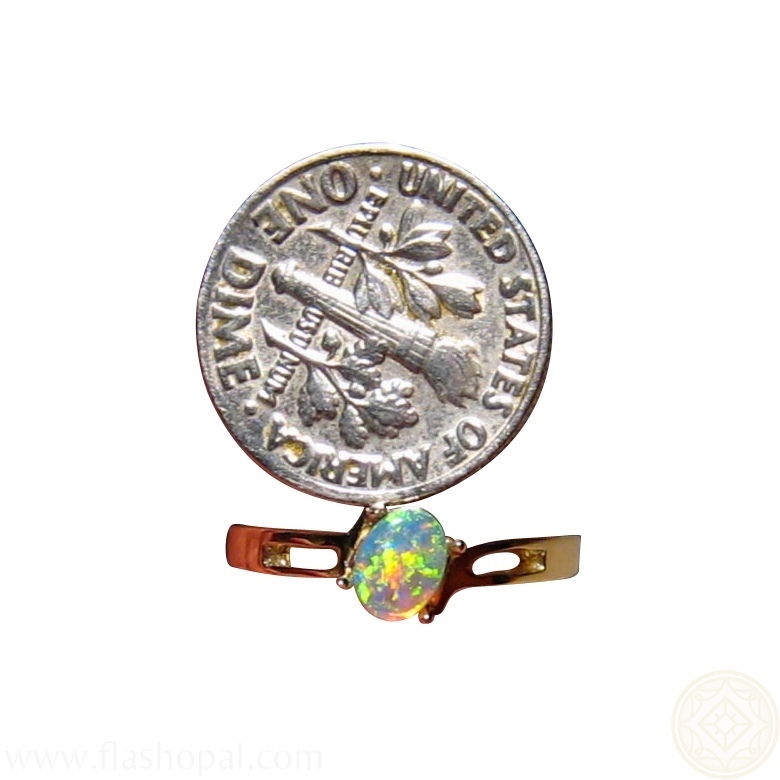 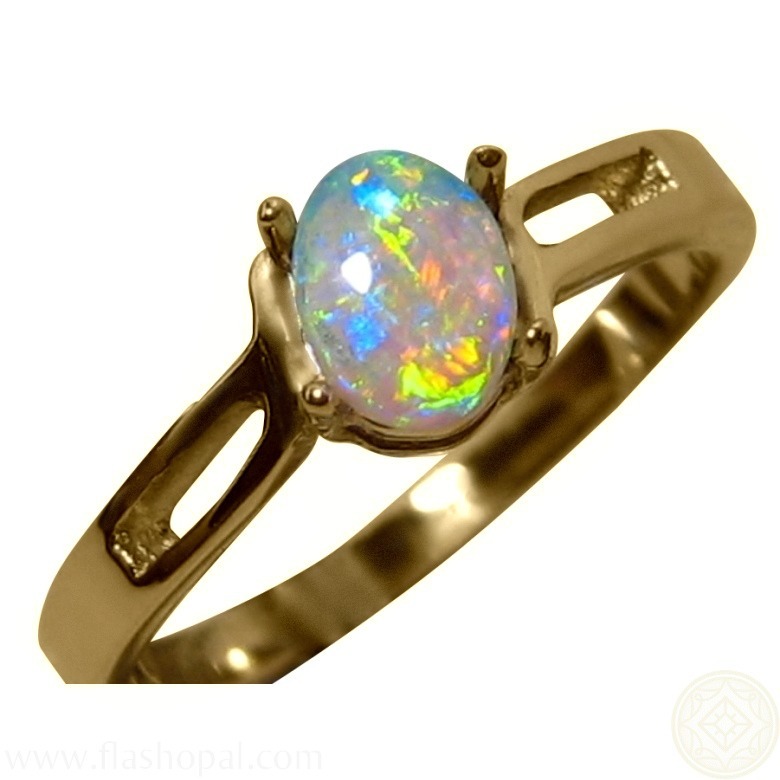 The oval Opal is set on an angle and the Gold band has cut outs on the top only.